Cold destinations are popular with travelers planning vacations this year. Alaska cruises in particular are experiencing strong bookings and a number of cruise lines are positioning some of their most exciting new ships in Alaska. This year is a great time to take a cruise to explore this beautiful state. It’s not surprising that Alaska cruises are such a hit with today’s travelers. Alaska is filled with stunning scenery, incredible wildlife and amazing adventures. Peak experiences include viewing Alaska’s massive glaciers and snow-covered mountains, seeing humpback whales and bears, fishing for halibut and salmon, dining on delicious seafood, and so much more. Alaska cruises are a bucket list experience for many vacationers, so advance planning is important. 1. Set your Alaska cruise goals and budget upfront. Before doing anything, think about the kinds of experiences you want to have in Alaska, who’s coming with you, and your budget for the trip. These factors will have a major impact in choosing the best cruise line and ship for your Alaska cruise. A small ship Alaska cruise allows vacationers to explore some of Alaska’s most remote destinations, often visiting places that large ships can’t reach. On the other hand, larger ships offer significantly more attractions on board including a wide variety of entertainment, dining options and extensive programs for children and families. 2. Use a good cruise travel agent. Top-notch cruise travel agents can help vacationers select the right Alaska cruise experience, save money, and monitor cruise line sales after booking to obtain potential upgrades and more. A great travel agent will assist you in selecting the best ship and Alaska cruise itinerary for your needs and interests. Sharing your cruise goals and budget with your travel agent will help the process go smoothly. 3. Pick the right ship and itinerary. When choosing the right ship for your Alaska cruise, it’s important to understand the ship and its amenities, the types of vacationers it attracts, and the Alaska itinerary on which you’ll be sailing. Some of today’s newest cruise ships are sailing in Alaska this year. These massive ships feature a wide variety of attractions and amenities including multi-level race tracks, laser tag arenas, huge observation lounges, scores of specialty restaurants, Broadway-style entertainment and more. Other ships place more of their focus on enrichment activities. Think about your goals, who you’ll be cruising with and the type of Alaska cruise experience you’re seeking. Then talk with a knowledgeable travel agent about the right ship and Alaska itinerary for you. Alaska cruise itineraries vary significantly. If you’re interested in seeing more of Alaska’s magnificent wilderness, consider Alaska cruise itineraries offering pre- or post-cruise land tours to Denali National Park. 4. 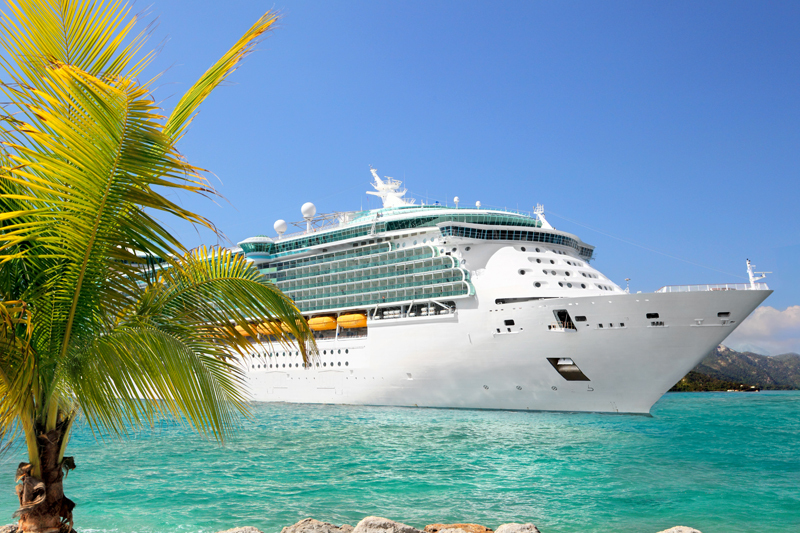 Choose the right time to cruise. Alaska cruises tend to be cheapest during the shoulder months of late April/May and September. Flights also tend to be less expensive and Alaska’s ports are often less crowded during these times as well. The unpredictable weather during these shoulder months can be a concern for some vacationers, however. Late June and July are the most expensive times for Alaska travel, as they can offer some of the best chances for wildlife sightings. Take time to research Alaska’s weather patterns, review the all the options and talk with your travel agent to choose the best cruise for you and your group. 5. Check airfares carefully. 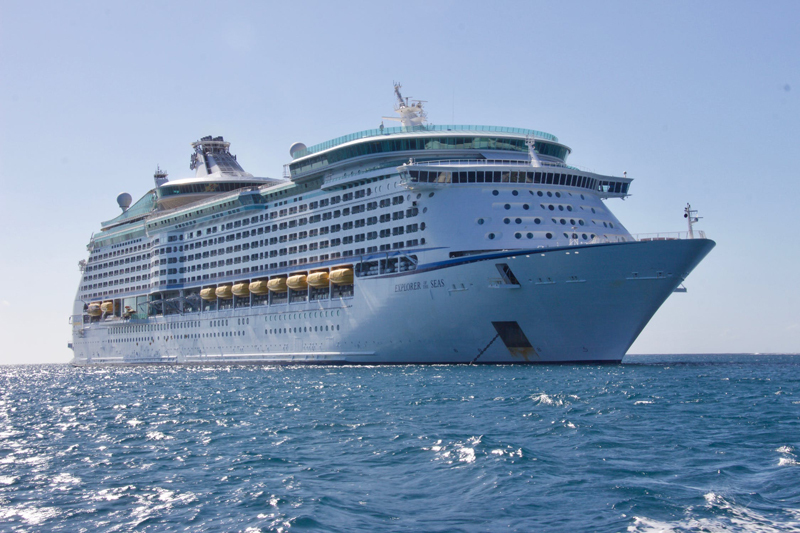 Alaska cruise flights can be expensive, so price out air travel options to and from popular cruise departure ports to see what works best for you before choosing your cruise. Your travel agent can help. If you have frequent flyer miles, this might be a good time to use them. Make sure to book flights as early as possible for the best availability and schedules. If anyone in your group is prone to seasickness, take that into account when booking your Alaska cruise itinerary. Alaska cruises navigating the Gulf of Alaska and the unprotected waters from Seattle can often encounter rough seas. An Inside Passage cruise from Vancouver may be the best choice for those who get seasick easily. 6. Book a balcony stateroom if possible. While splurging for a balcony may not seem wise for some other cruise itineraries, it’s worth it on an Alaska cruise. These cruises include significant blocks of time devoted to scenic cruising and viewing wonders like spectacular snow-capped mountain vistas, calving glaciers and narrow fjords filled with wildlife. Seeing these from the privacy and comfort of your own stateroom balcony will be much appreciated and you’ll be glad you made the investment. 7. Budget plenty of money for shore excursions. Shore excursions in Alaska are where lifelong memories are often made. Allocate a significant portion of your budget for shore excursions and reserve them before boarding your ship. Booking tours independently will save lots of money. There are pros and cons for booking through the ship or on your own, but you'll be able to pack more into your cruise budget with independent tours. A good travel agent can help. 8. Seek out shore excursion deals in advance. If there are two or more of you traveling together, consider purchasing the Alaska TourSaver. This coupon book offers 2-for-1 deals on many of Alaska's top tours, hotels, car rentals and attractions. It's important to book these tours early. Many tour operators only allow a limited number of TourSaver coupons to be used per day. In addition, check out the Roll Call boards on Cruise Critic and sign up for your ship's sailing. This is a great way to meet other people who'll be traveling on your ship and organize money-saving group tours in advance. 9. Pack wisely. Alaska cruises require careful packing. Temperatures and weather patterns can change dramatically in the space of a few hours, so it’s important to pack plenty of layers and fleece for warmth. These can be worn and peeled off as needed on shore excursions. Mosquitoes and other insects can be common in Alaska, so bring along insect repellent. No matter what the weather forecasts say, plan for rain and pack accordingly with rain jackets, umbrellas, waterproof shoes and a waterproof pouch for cameras and electronics. You’ll also need a variety of outfits for dining and entertainment on board your ship. Don’t forget comfortable walking shoes, shorts and a bathing suit, too. 10. Bring the right cameras and binoculars. Alaska cruises are filled with outstanding photo opportunities, so you’ll want to have the right gear with you to capture them. Consider bringing multiple cameras including a DSLR with a long lens to capture great photos of whales breaching, glaciers calving and other action shots. Good binoculars and a small camera with an excellent zoom lens are invaluable on shore excursions as well. Make sure to pack plenty of camera digital image storage cards, batteries, and anything that you need to capture your vacation memories. Camera supplies will be far more expensive on the ship and in Alaska than at home.